A very good grower for Florida, this one blooms non-stop. 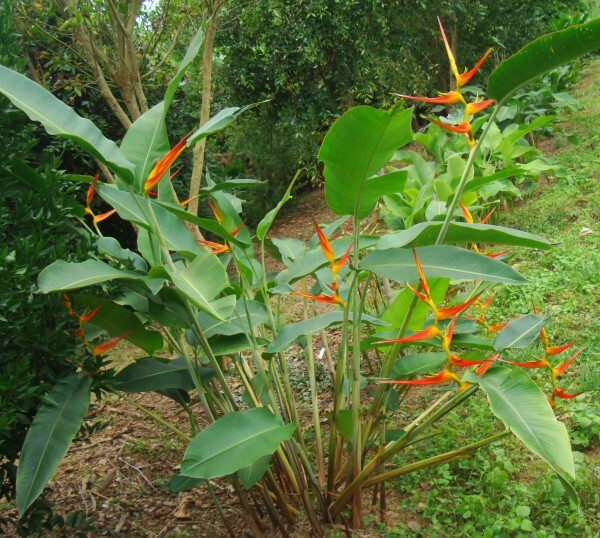 What’s nice about this Heliconia is how the blooms appear at the very top of the stalk, shown off above all the leaves. 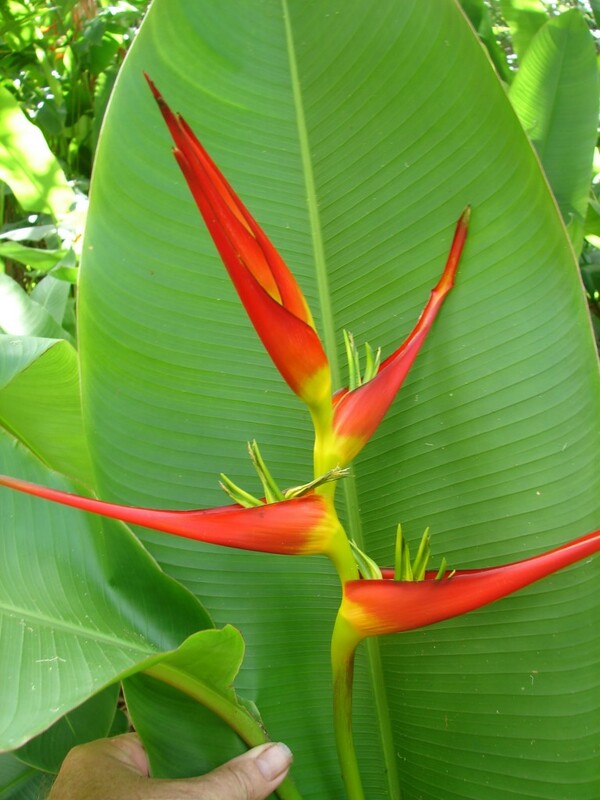 The blooms are bright yellow with bright red tips. They can get quite large, up to 2 feet tall or more, with bract after bract layered on top of one another like a staircase. Even the stalks themselves have an attractive purple mottling on them. Likes a bright spot 70-85% sun, humidity and moist rich well-draining soil. Keep on the dry side over winter- you can’t go wrong with this one- the EASIEST of all the large heliconia to grow and produce cut flowers!